Excellent opportunity to own your own country diner in a picturesque community in Northern California. Currently serving breakfast, lunch & dinner seven days a week (closed Monday Nights) this is an absentee run store. A successful owner will be hands on both in the restaurant and this inviting community. The space is located in a high traffic area near the fairgrounds. This 2500 Sq Ft restaurant has an outstanding lease at only $1275 a month with no NNN. There are two hoods systems; 9ft Type II and a 6 ft Type I as well as all the necessary equipment needed to run a high volume diner. Inside seating for 100 patrons. Owner has decided not to pursue the restaurant business and is looking to pass on this great opportunity to you. Owner has made many recent upgrades from carpet to lighting. So if you are tired of the city then bring your skills to a more laid back atmosphere. Take the next step and complete the online confidentiality agreement and you�ll be provided with the restaurant name and address. Also you will given priority notification to new listings in the future, prior to the general public, giving you the best chance to �scoop in� the best opportunities. 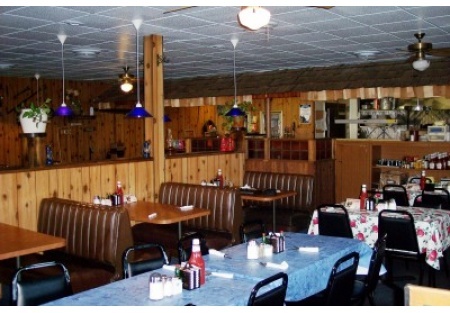 There are also more photos available to our registered buyers.This is a Paramount Restaurant Brokers, Inc. DBA SellingRestaurants.com listing. Excellent Opportunity in Small Community. Great for a Family Operation. Needs a Hands on Owner.